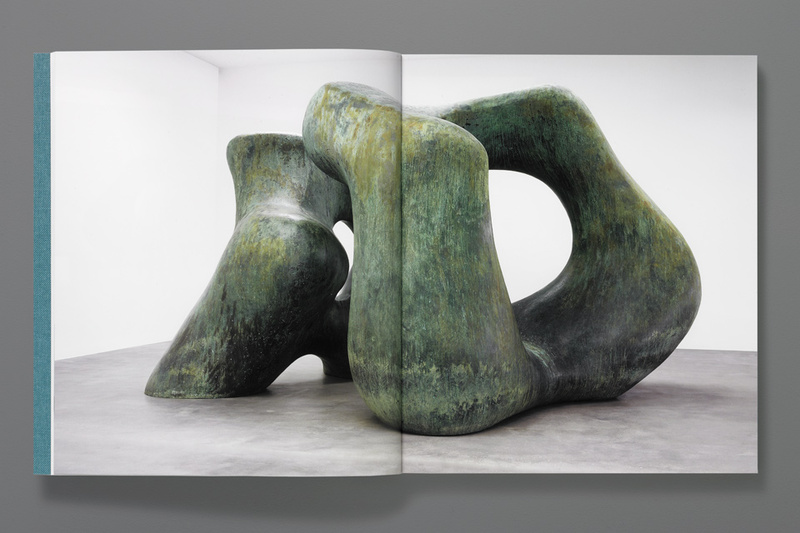 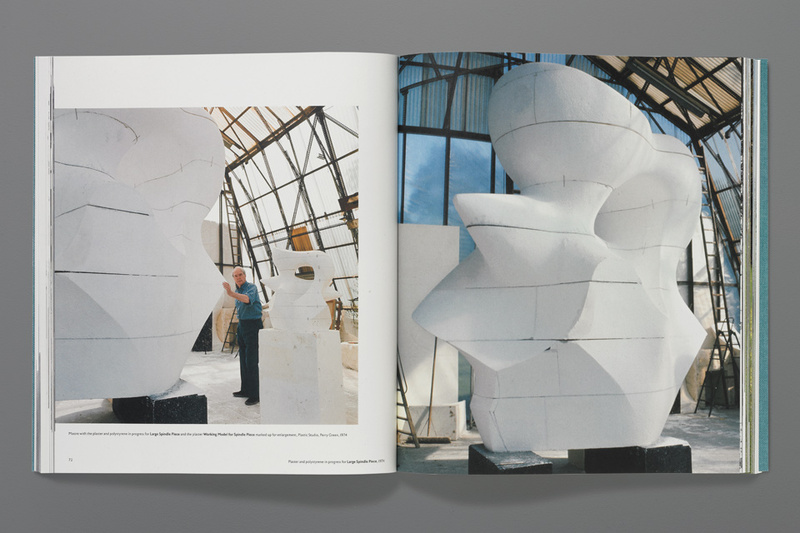 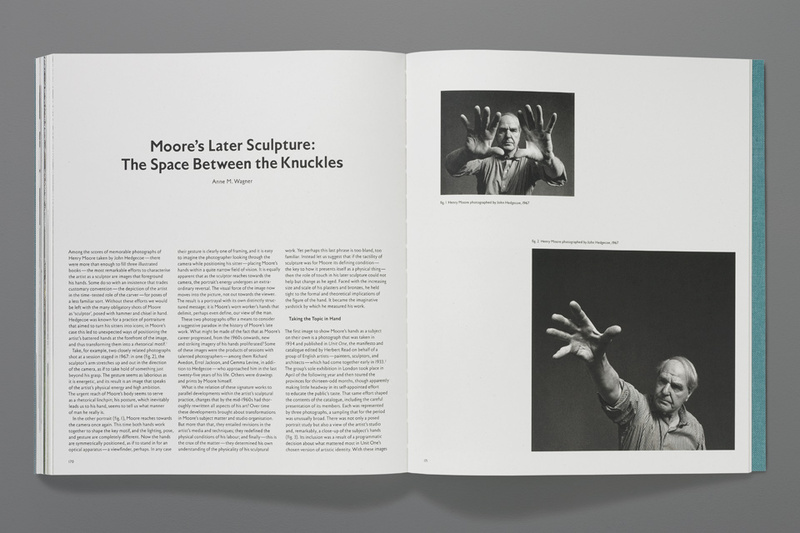 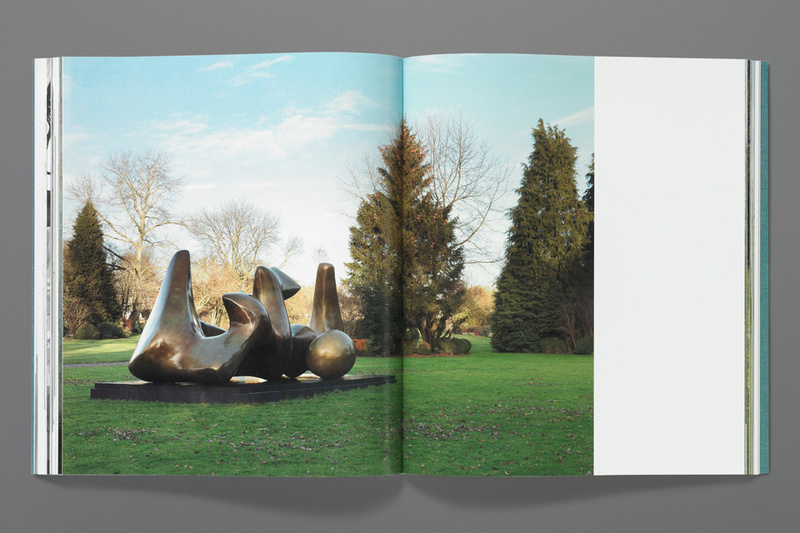 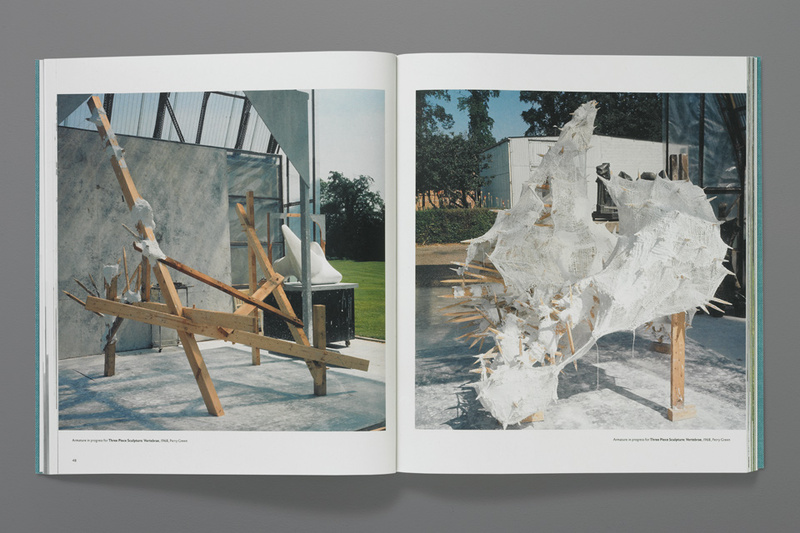 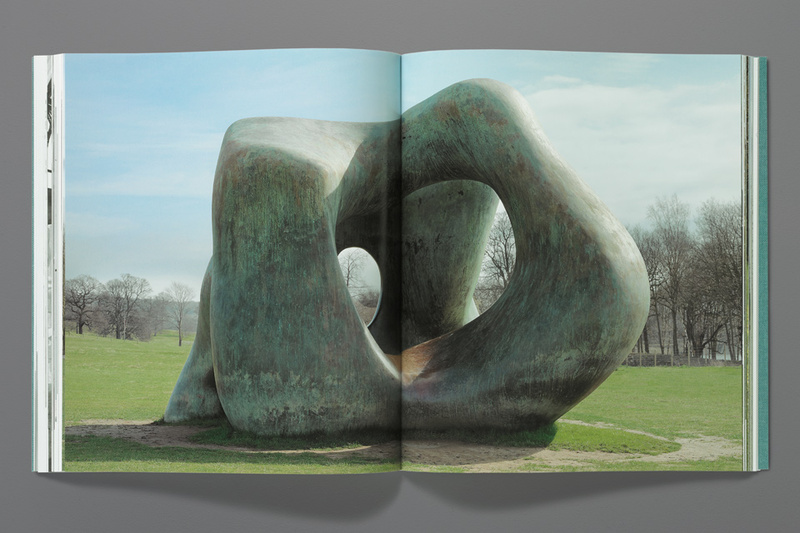 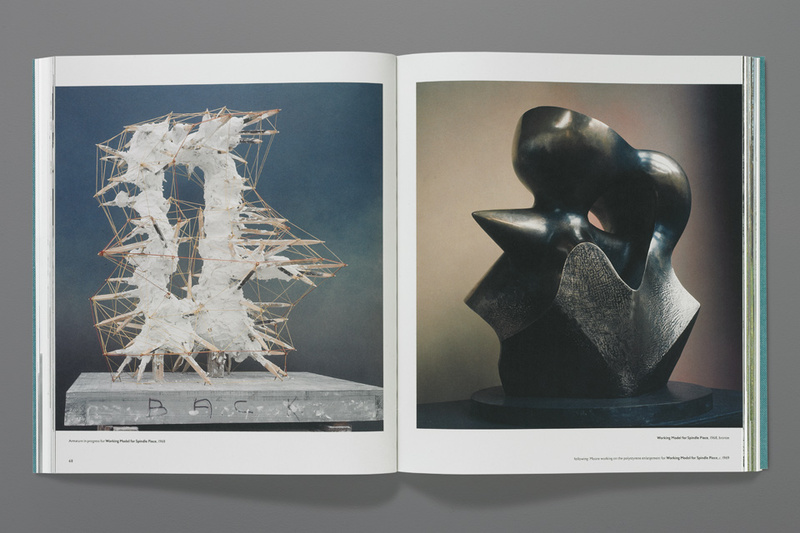 Gagosian's decision to display Moore's enormous outdoor sculpture inside their white-walled London space emphasised the contemporary relevance of the mid-century works. 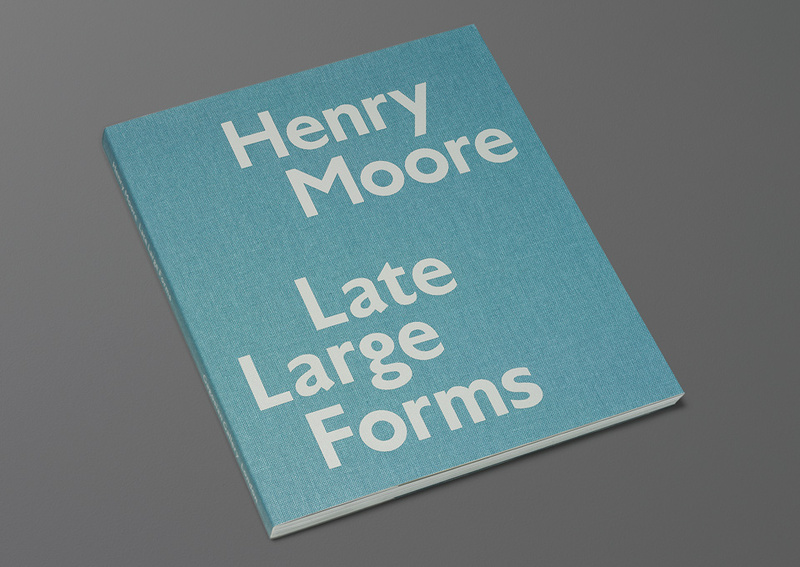 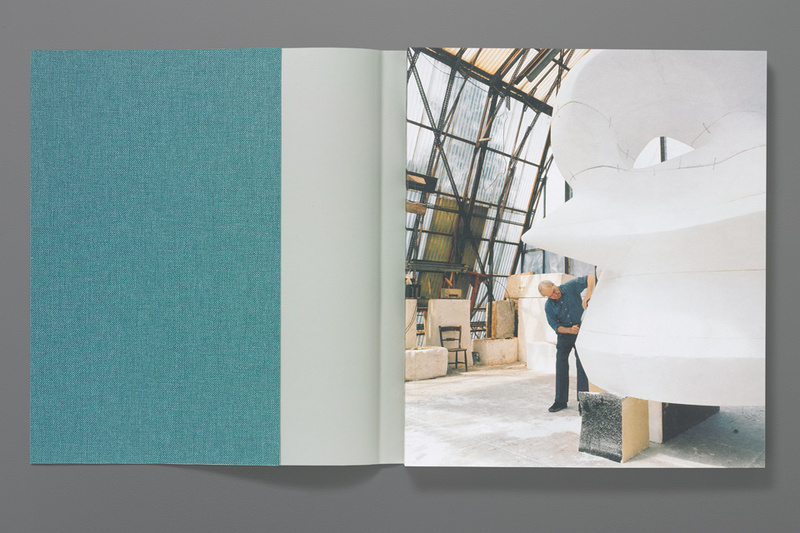 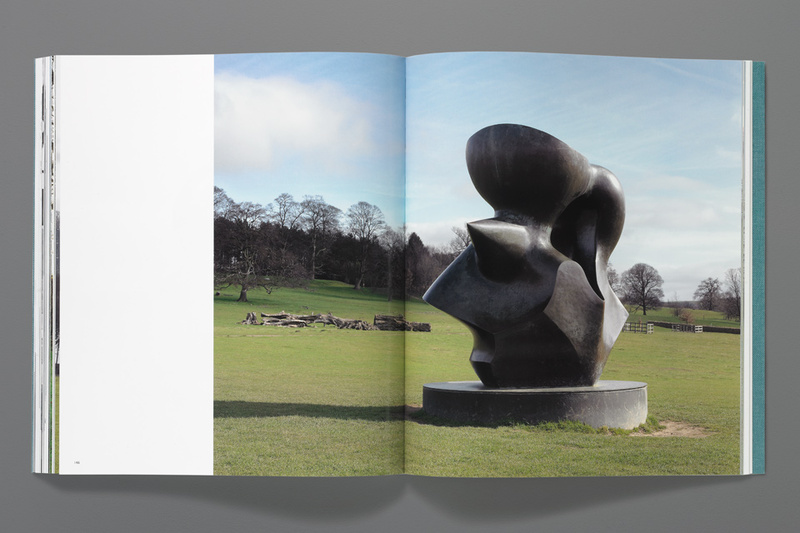 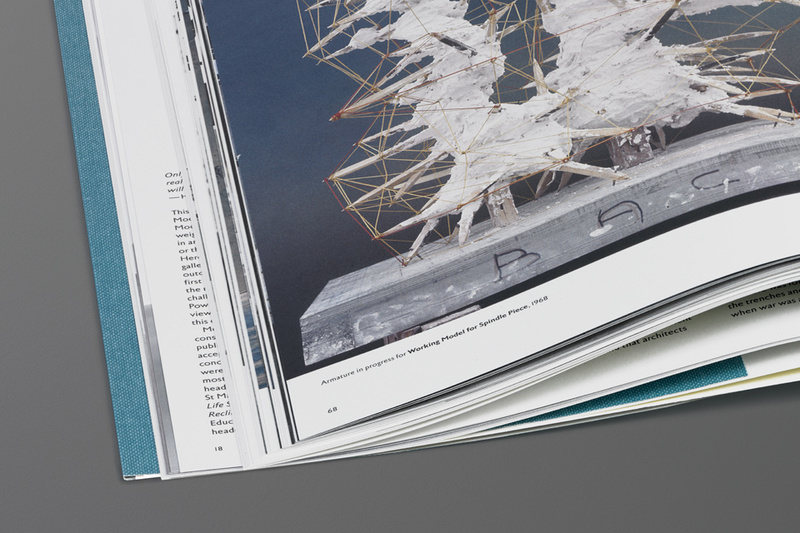 Similarly, the exhibition catalogue's large soft-back format and loose bookcloth jacket combine a period warmth with a contemporary structure. 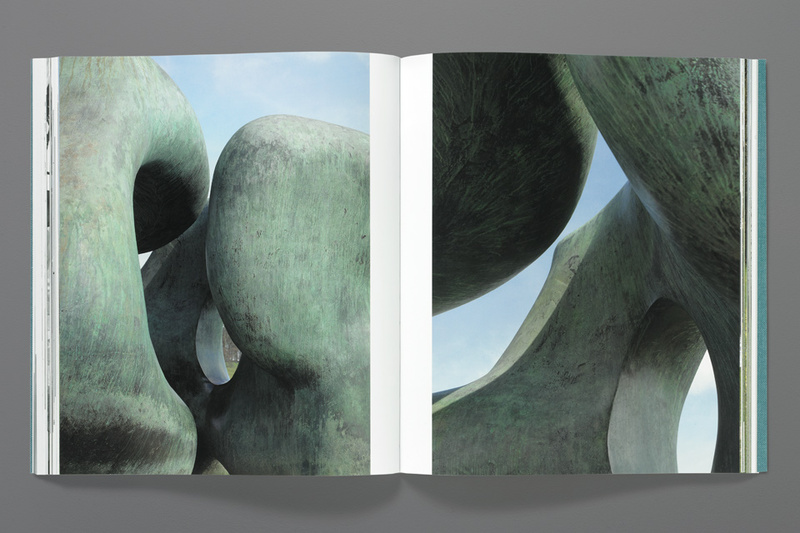 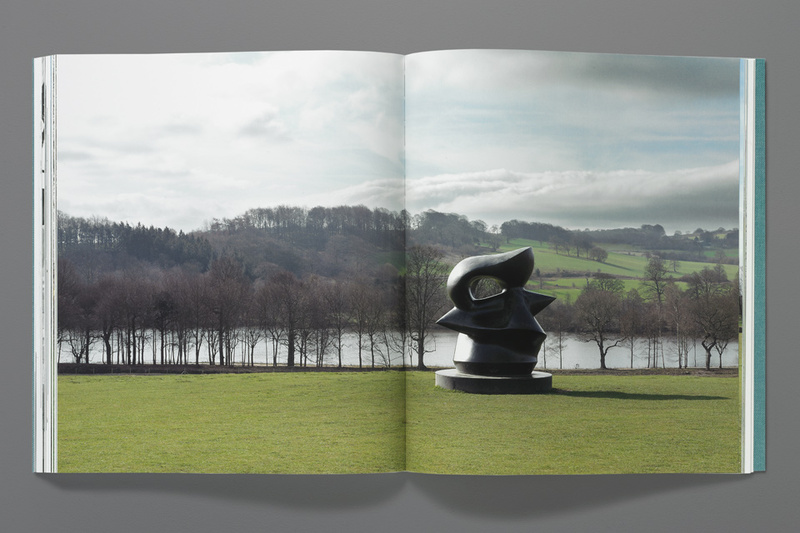 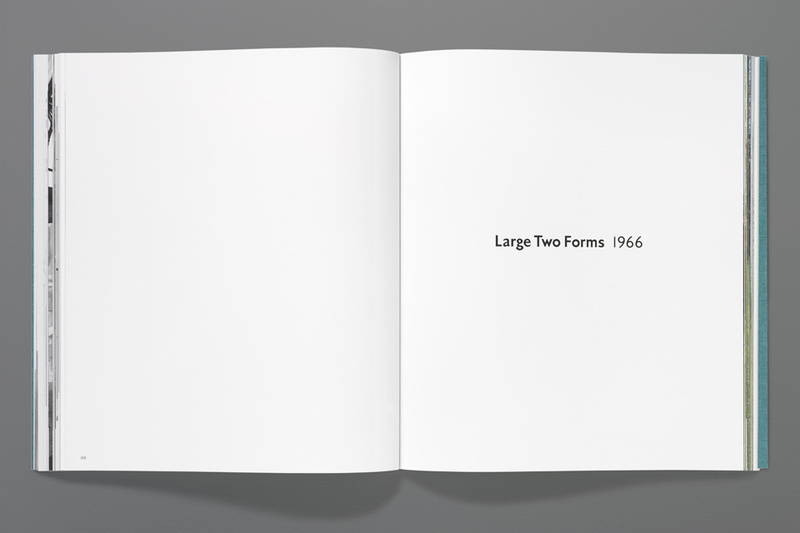 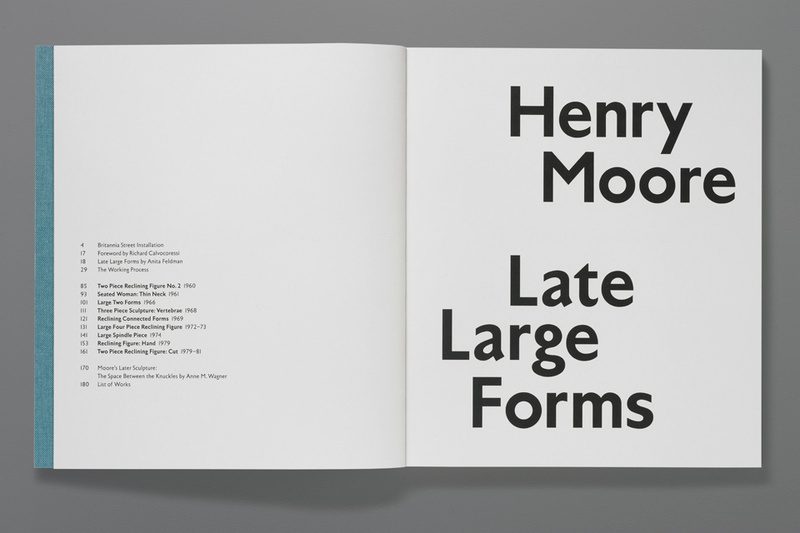 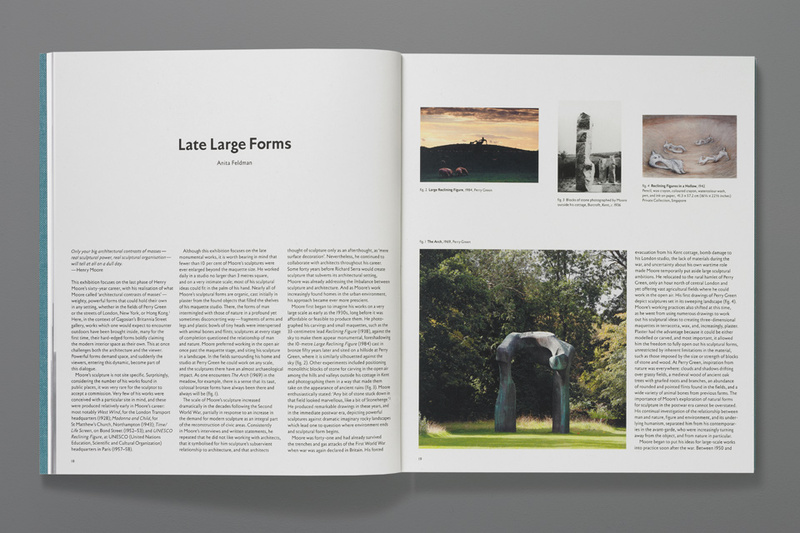 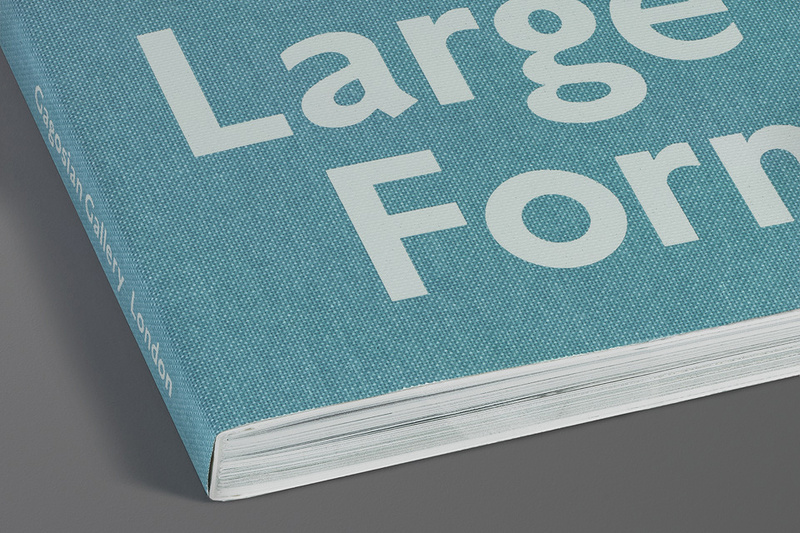 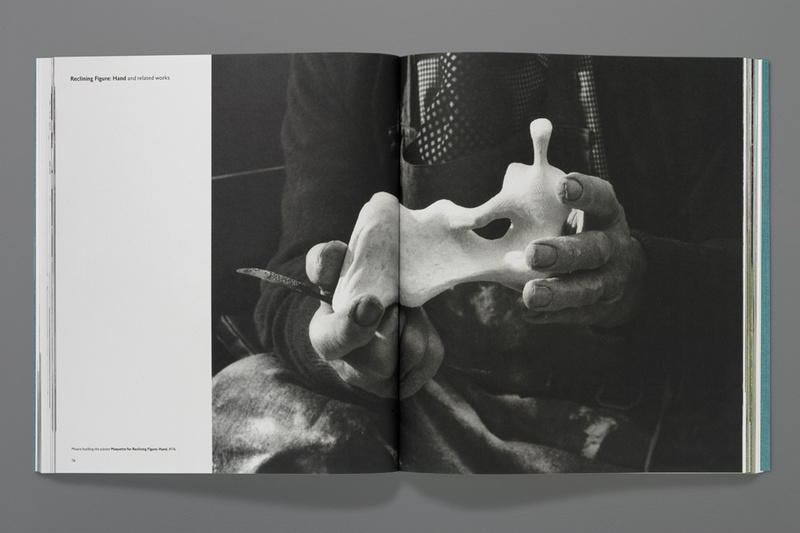 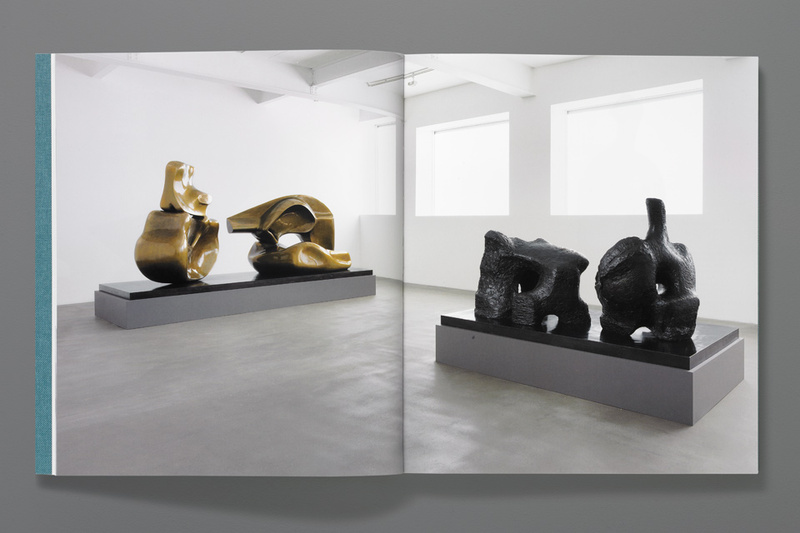 The catalogue text is set in Jan Tschichold's Gill Sans-influenced Uhertype Grotesk – a decision informed by the knowledge that the sculptures were cast in Germany.